We’ve been quiet over here because we’ve been busy promoting Hotels With Cats out there, so I have an update for you all on our recent comings and goings! It’s one year since we launched this website and I can’t believe how much has happened and how people have embraced the concept. Thank you to all who pre-ordered our magazine! The winner of the stay at The Shorea is Blane R and was selected via Randomize! Congratulations Blane. Blue is looking forward to meeting you. August took us to Greece, where we connected with some wonderful cat people on Santorini and Folegandros (a small Island next to Santorini). Why do I care so much about the Greek cats when I live in Australia you may ask? Well. When I learned about the real truth about cats of Santorini, I was horrified. Seasonal tourism and population fluctuations mean that cats enjoy food, hugs and belly rubs all summer, then in winter everyone leaves. 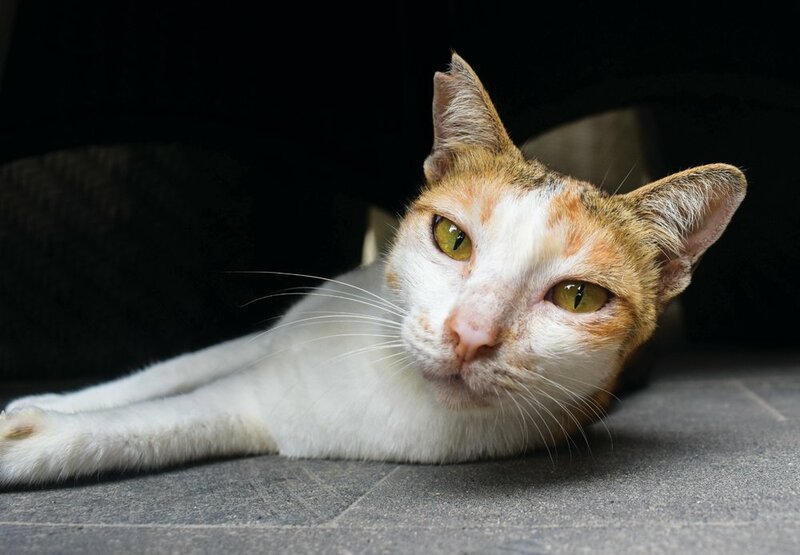 Cats are left to starve or are eaten by dogs. Quite frankly, it’s horrific. There is no sanctuary. No shelter. No cat cafe. Funds are really needed. As are mission mates. I made it my mission to tell the world about this, because as tourists I think we have the power to change things. Connecting with Lucia and Vily from Sterila Santorini Cats felt like meeting old friends. We brainstormed. We are creating a video. We helped with some TNR and we enjoyed the nine rescue cats at Zacharakis Studio (if only more hotels in Santorini were like this). Anthie, patron saint of cats in Folegandros. We then scooted off to the small island of Folegandros, which has a teeny population of around 800 people in winter. Tourism is more chilled. Businesses have a different attitude. I discovered two hotels with cats, one of them very posh which made me so excited (they had about nine rescue cats) and Anthie above who runs one of the best restaurants on the island. 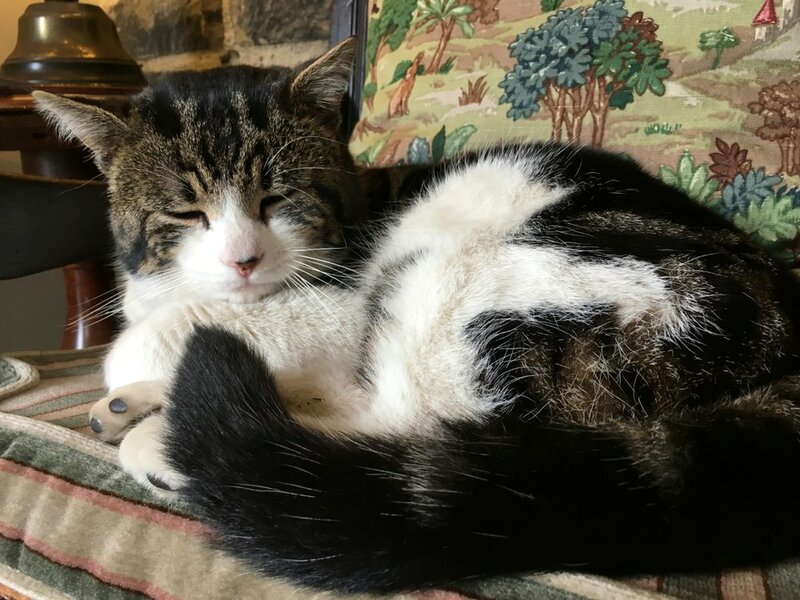 She stays all year round, feeding up to 100 cats in winter, and looking after the resident hotel cats. We left her a hefty donation and I will write up about her lovely restaurant as well. It was so lovely to see so many HEALTHY ear clipped cats here. 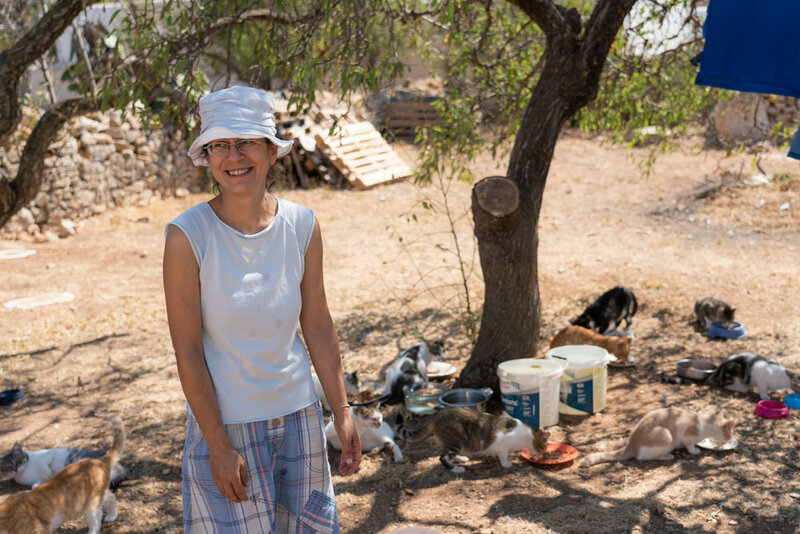 A vet from the UK comes out every year to sterilise around sixty community cats thanks to Anthie’s organisation and passion. 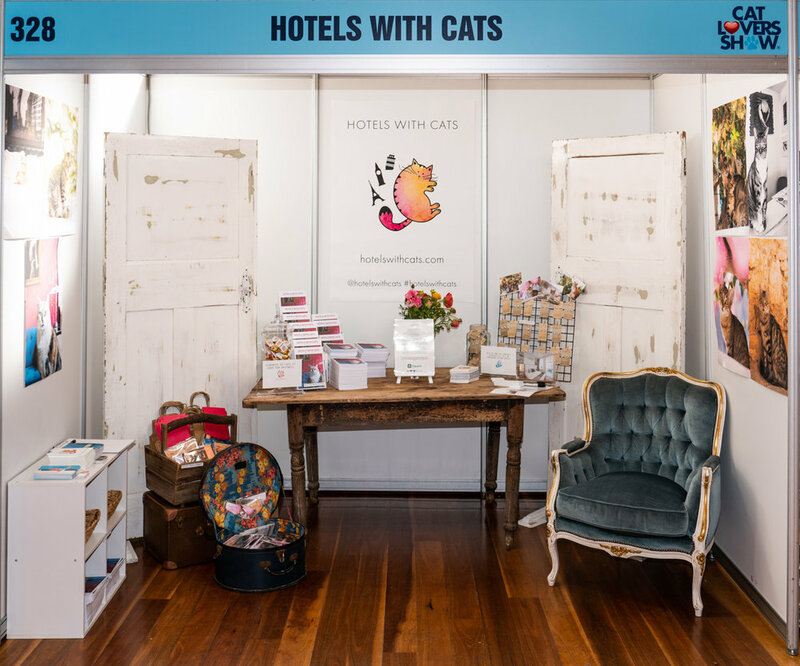 We were straight off the plane and down to Melbourne to take Hotels With Cats to the biggest cat show in Australia. When I say big, I mean big. No one could have predicted how BIG the show was going to be as it was the first of it’s kind in Australia. The official statistics were 20,000 people and they closed sales to the public on Sunday, so many fans missed out. 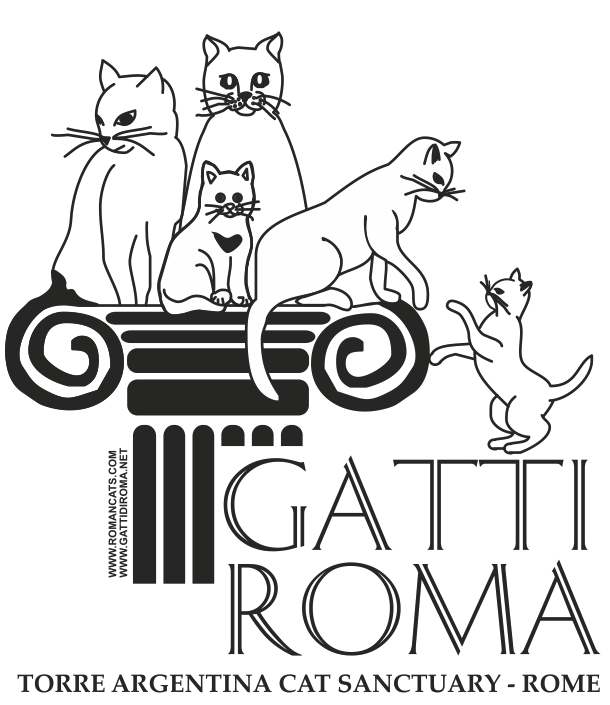 We had our hotel foyer set up all weekend, and it was amazing to connect with so many cat lovers, sell our magazine and fundraise $200 for the cats of Santorini. 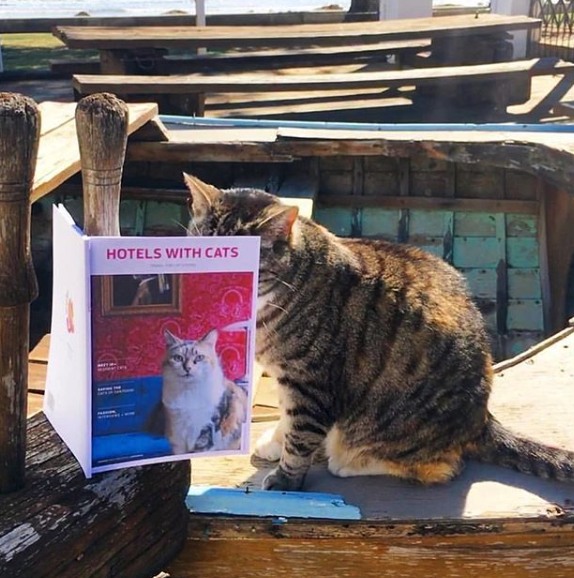 People could not believe there were sooo many hotels with cats! Yes there are! And I have not even had time to post them all yet. The list on Instagram is as long as my arm! We took a break from talking about cats for a week besides our own. We launched our beautiful bespoke magazine at the beginning of September and the response has been great from hundreds of cat lovers and our hotels featured in our first edition. Even Dolphinfish was caught checking herself meowt on page six. The magazine really is a testament to how cats are good for business, all the little love stories of adoptions make me cry! It’s available for order here and we ship to cat lovers all around the world. We’ve got exciting partnerships in the plan with sanctuaries, collaborations with artists and online stockists. So stay tuned. For now, we are just enjoying seeing our kitties in print! 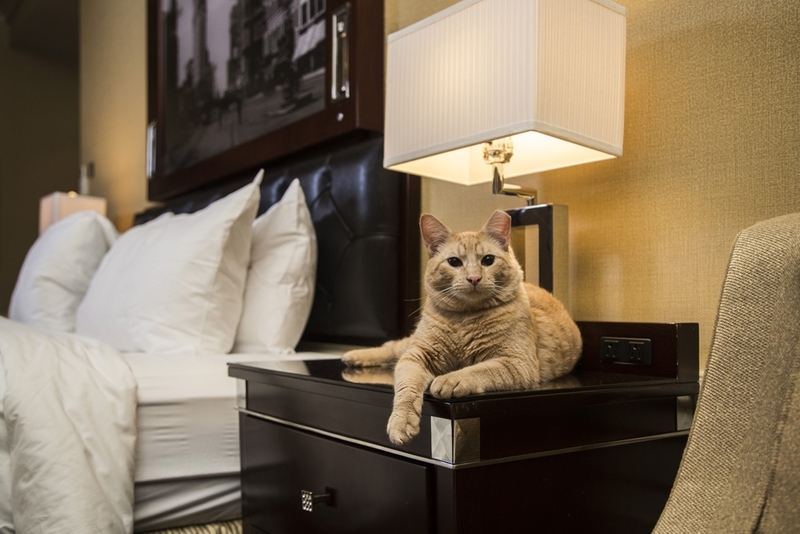 Stay tuned for more Hotels With Cats!